Simply plug in Live! 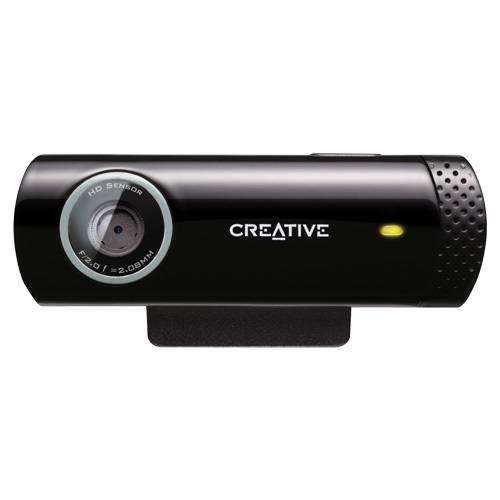 Cam Chat HD to add HD 720p video to your online chats* – no software installation required! Download the free Live! Central 3 Lite software to record HD 720p videos and snap 5.7 MP photos, and share them in a single click on popular social media websites such as YouTube and Facebook. Videos are captured at up to 30 frames per second, providing smooth, high-quality playback on your computer. Plus you can also enjoy significantly clearer voice chat by using the built-in noise-canceling microphone that eliminates background noise. The Live! Cam Chat HD is Mac compatible, to check that Mac recognized the camera, instructions can be found at the following link: http://support.creative.com/kb/showarticle.aspx?sid=83939. When using your Live! Cam Chat, Apple products' camera will default as the main camera. However, in both Facetime and Photobooth applications you have the ability to switch over to the external webcam: Photobooth Application > Top Bar Menu > Camera > 'Toggle between Built-in Camera or Other' - in this case Chat HD Facetime Application > Video > Facetime HD Camera (Built-in) or Other. In addition to selecting your webcam preference, you can select which microphone to use as well.